An alternative method for portable crowd control is replacing the bulky metal fencing of the past. Avalon Barriers are a temporary crowd control solution that are sturdy, affordable and easy to use. 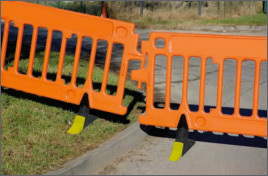 These barriers are built of a durable recycled polyethylene plastic. The blow molded technology gives them great strength while allowing them to remain lightweight (only 24 pounds each). The easily withstand the elements, impact and all kinds of wear and tear. They are made 100% recyclable and provide high visibility. 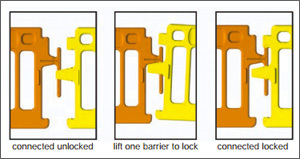 The unique interlocking design of these barriers allow them to be used with several different configurations and at different angles. This makes them ideal for not just level ground, but also for sloping terrain and even over street curbs. Avalon Crowd Control barriers can be used indoors or outdoors. Some common indoor uses are indoor events and temporary excavations. Outdoors they are often used for construction sites, road work public events and even airports or other large public areas where traffic control is needed. 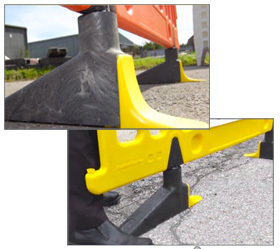 The Avalon barriers have high visibility anti-trip feet made from dense, heavy molded plastic that provides ballast. The anti-trip feet are flexible too in that they can be turned to be flush with the surface for easier transport and storage. They come with an recessed area large enough to easily insert retroreflective sheeting for even higher visibility. Logos and signs can also be placed in that area. Additionally, each barrier comes with 4 pre-molded holes in the center to allow signs approximately 16″ x 22″ wide. 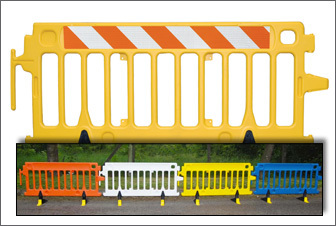 Avalon Crowd Control Barriers are available in four high visibility colors – Yellow, Orange, Blue and White.